AMEN Corner: The End Is Near? A Day At Church in 65 A.D.
Isaac Newton is a well-known scientist from the 17th century who “discovered” the law of gravity. But Newton’s passionate interest was black magic and he went on an obsessive endeavor to create a magic “rock” which he believed would have the power to bestow eternal life. Newton studied the Bible, renamed himself “Jehovah Sanctus Unus” (the one holy god) and famously predicted that the world will end in 2060. So if we believe the scientist over the socialist, that gives us about three more decades and may help those planning their retirement annuities. Last year, Christian numerologist David Meade scared the millennial generation half to death with a book called "Planet X" that described a death star destined to crash into the earth and annihilate it on April 23, 2018. After that didn’t pan out like he hoped, he corrected the end of the world for sometime between May and December 2018. I guess I don’t have to tell you how that turned out either. We can look back and scoff at the silliness of it all, but I knew some intelligent, Bible-believing Christians who were absolutely certain the world was coming to an end in 2018. 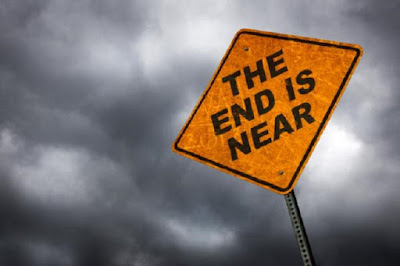 Even worse was when Christian radio broadcaster and evangelist Harold Camping provided “biblical proof” that the world would end on May 21, 2011 and his followers very sadly did some outlandish things in expectation that the Rapture would happen on that day. Jesus had said about His return, “But of that day and hour no one knows, not even the angels of heaven, but My Father only.” Matthew 24:36 What part of that did this Bible teacher and evangelist not understand? I was not angry that this Harold Camping was an idiot. We all do idiotic things and thank God for His grace and mercy when we do. What made me angry is that this one foolish and false prophet gave place to the devil and the level of ridicule toward Christians ratcheted up to an all-time high. As Camping’s day of Rapture approached, there was an article in the LA Times about a website called “You've Been Left Behind.” For $14.95, a Christian could have a letter sent to their unbelieving loved ones to inform them that they had been “raptured” and were no longer on earth. Christians were also paying big bucks to an atheist company called “Eternal Earth-Bound Pets” that would take care of their dogs and cats when the rapture occurred. The LA Times article portrayed these atheist businesses as shrewd and depicted Christian believers as naive and foolish. Harold Camping’s prediction received nation-wide attention from liberal network news anchors who made no attempt to hide their laughter and disdain for Christian believers. Did Harold Camping’s prediction help or hurt the cause of Christ? Before his death, Harold Camping repented and admitted his “predictions were sinful” but the damage had been done. He spent 100 million dollars on billboards and radio advertising!! What if he'd given 100 million dollars to the Christian non-profit “Feed The Children” that supplies food, medicine and clothing to needy families? What if he’d spent that 100 million dollars on Bibles in different languages to give away? The late Harold Camping shows us that our actions – our behavior – will bring people one step closer to Jesus or our behavior will move them one step away from Jesus. During my own relatively short time on earth, the end of the world has been predicted at least 79 times according to my research. Predictions from politicians, psychics and Popes; from astrologer Jeanne Dixon and Jehovah’s Witnesses; from Calvary Chapel’s Chuck Smith, Pat Robertson, Jerry Falwell, John Hagee and others. Predictions by scientists and socialists. The earth will end in giant tides and earthquakes, collisions with death stars, apocalyptic race wars, a change in the earth’s axis that pulls it into the sun, alien invasions and now climate change. Every time an “end-date” comes up, I’ve known people who listened to the false prophets and were terrified it would be true. Today those in the younger “Gen-Z” generation who see politician Alexandria Ocasio-Cortez as their socialist goddess are taking her words that the earth will come to an end in 12 years as scientific fact and are understandably terrified. As for me, I’ve read my Bible and I know that God is in control of all that happens in His Creation and that Jesus said that “all end-times predictions are hogwash” (Matt 24:36 my translation). So thank you Ms. Cortez, but I’ll be getting quotes on a roof with a minimum 25 year warranty. The AMEN Corner is a weekly devotional for the family and friends of New Hope Family Church. It is intended for this devotional to be strengthening, encouraging or comforting and your comments too should be for the glory of God and reflect the intended purpose of these posts. Compassion. It's What We Do. and be the voice of HOPE in a troubled world. Copyright 2018 New Hope Ministries. Picture Window theme. Theme images by Airyelf. Powered by Blogger.